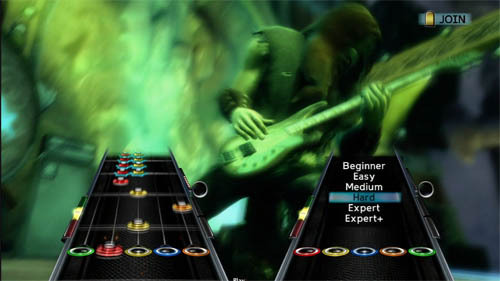 The next great Guitar Hero game is on its way, and you'll find it loaded with over 85 tracks of music goodness. Guitar Hero 5's artists range from Nirvana to Coldplay, and everything in between. Activision has unveiled part of the official set list today giving you a taste of what you'll be shredding with your friends come this fall. There's some really strange choices for bands this time around, particularly of note is Elliot Smith. Overall so far, it looks to be a great variety of songs to play, something a bit more balanced on the difficulty scale as well. Activision has also released a new trailer for the game that shows off some of the new features included the vaunted drop-in / drop-out co-op mode. How does it work? The video does a pretty good job demonstrating it in motion. I've been firmly in the Rock Band corner for a few games now, but GH5 just might make me give that franchise another go.